True Mama Typeface Duo your multilingual old-school typeface duo! 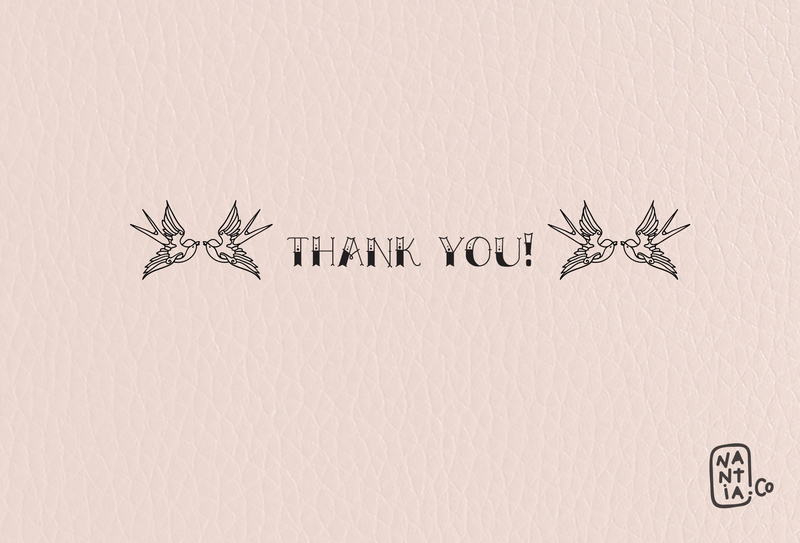 With True Mama Typeface Duo, you can recreate old-school lettering tattoo inspired graphics on the spot! Not only this typeface duo includes one monoline typeface with uppercase and lowercase characters, but also one bold version with only uppercase characters. In fact the typefaces are so easy to use because they complement each other. Again, this duo is perfect for recreating vintage graphics. 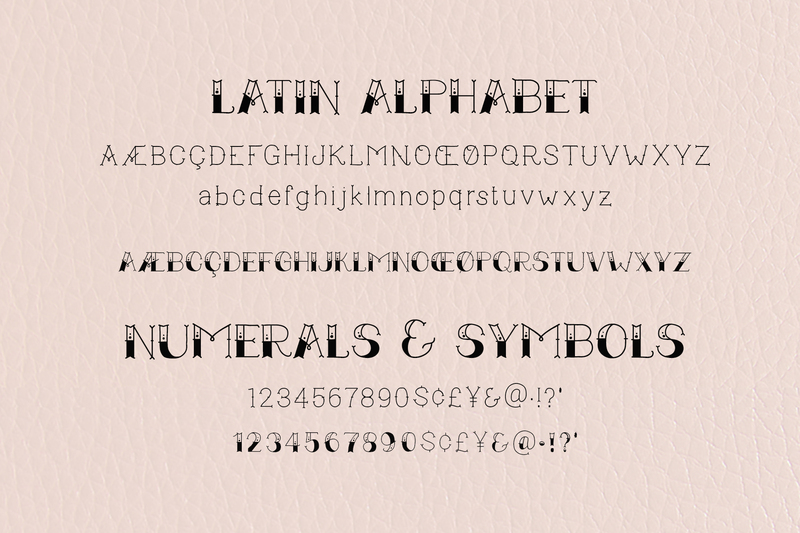 Of course, both typefaces support diacritics and an extended set of Latin and Greek character set. 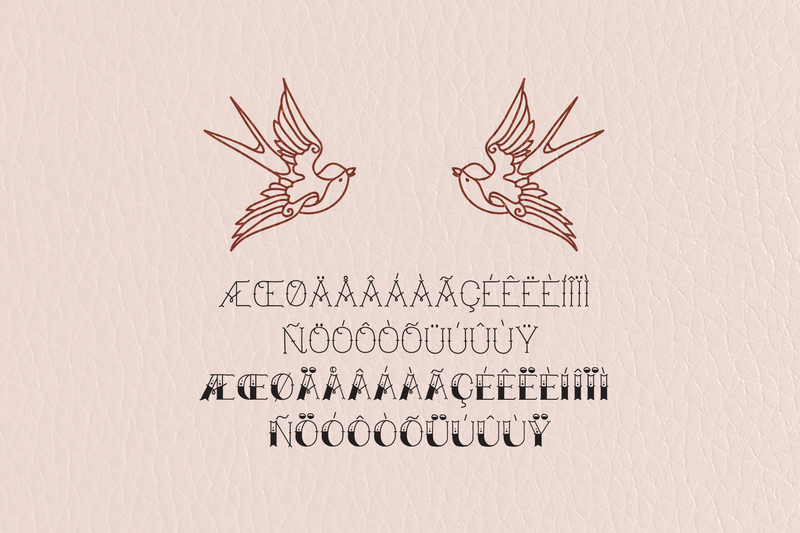 Also, both typefaces have a set of 4 vintage illustrated tattoo extras, that you can find in the PUA section of the font. 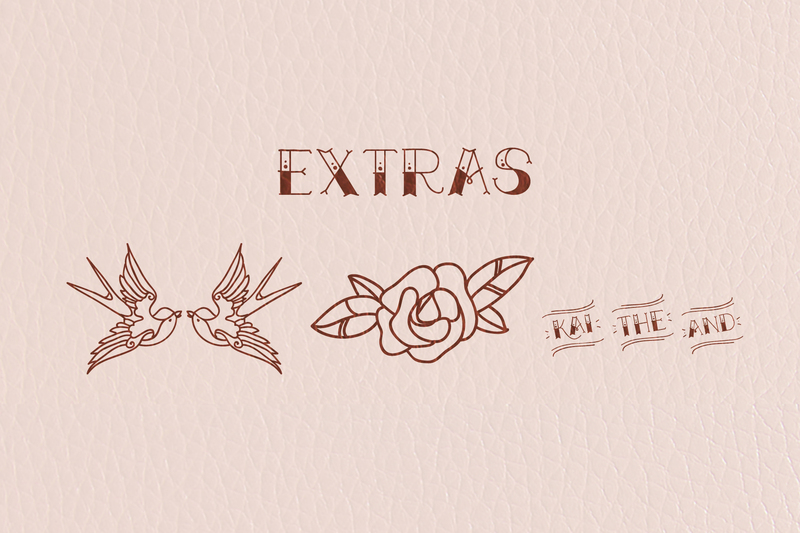 Extras: 3 premade lettering and 2 monoline old-school tattoos that you can find on PUA section of the font.